A while back, the government of Canada suddenly realized that Canadians did not save their money as much as they hoped. 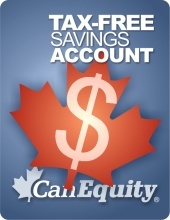 So, to goad Canadians into saving, they introduced the Tax-Free Saving Account (TFSA) that basically allows up to $5,000 per year contribution to grow tax-free. Starting in 2009, Canadians aged 18 and older can save up to $5,000 every year in a TFSA. This program will take into effect starting 1 January 2009. But ING DIRECT offers them now! If you open a TFSA account with ING DIRECT now, you can contribute up to $5,000 (for this year), and at the end of the year, they will double your interest to cover for the tax. Your $5,000 will get tax-free interest (at 3% annual as of now) starting this year. If you are thinking about opening a new ING DIRECT account, I would encourage you to use this Orange (referral) Key: 17472847S1. This way, if you deposit $100 or more for your initial deposit, you will get an instant $13 bonus. Quite a good deal, right? PS: If you haven't heard of ING DIRECT before, these are the very basic introduction to them. They are by no means complete, so please do additional research before you commit anything. This is an online bank (i.e., no ATM, no branches, no offices). There is no fee and no service charge for any accounts. You need to have another bank's chequing account before opening an ING DIRECT account. When you make your first deposit using your existing account's cheque, ING will link your ING account with your chequing account.